Amazon seller software streamlines and simplifies the complicated process of selling on Amazon. 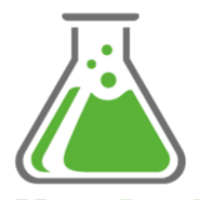 We looked at the most popular options and rising stars and decided to review SellerLabs, SellerEngine and Sellics. These companies covered the range of options for small businesses in terms of price, range of services, and ease of use for small and growing Amazon sellers. We recommend SellerLabs as the best Amazon seller software for new and small sellers because it’s the only solution that lets you select just the tools you need, some are even free. Plus, if you don’t yet have an Amazon seller account, you can still research products and explore Amazon’s sales potential, all without spending a dime. Learn More Easy. Intuitive cloud-based interface for all modules Easy - Medium. Since you can pick just the tools you need, SellerLabs can be less costly and easier to learn compared to the full-suite packages offered by SellerEngine and Sellics. This is especially helpful if you’re just starting out since you can keep costs low and not waste time learning a full software package. Another plus, SellerLabs is the only one with a published phone number that’s actually answered by a knowledgeable rep every time you call. Along with its a-la-carte convenience and friendly reps, SellerLabs offers a major benefit to new sellers that the other’s don’t match. You don’t need an Amazon seller account in order to research keywords and products using SellerLabs’ keyword research tool. SellerEngine and Sellics both require you to connect to an Amazon Pro Seller account for their software to work, and that costs $39.95/month. But SellerLabs’ keyword module lets you thoroughly research products to sell on Amazon before committing to a paid Pro seller account. In fact, you can use SellerLabs to start selling on Amazon with no upfront costs at all. Use their free “lite” keyword and product research tool, Scope, to target a few products to sell on Amazon. Then sign up for an Amazon Individual Seller account, which has no monthly fee. This pairing lets you research products, list them, and start selling on Amazon with no upfront costs at all. Talk about startup-friendly! Though great for startups, SellerLabs isn’t just for new and small sellers. Each of their 4 modules is designed to grow with you. Most new sellers start out with just the keyword tool, but once sales start rolling in, the inventory and feedback management tools keep everything running smoothly. And when your budget allows for Amazon product ads, SellerLabs’ ad management module conveniently tracks campaign spend and ROI. If you need all of SellerLabs’ modules as you grow, you can combine them into one plan that starts at just $59/month for up to 500 orders. SellerEngine delivers a full suite of Amazon tools in its core SellerEngine Plus software package, and it all costs just $49.95/month, period. Unlike SellerLabs and Sellics, whose monthly costs increase as you grow, no matter your monthly sales volume, you won’t pay more with SellerEngine Plus. This is one of the top reasons we recommend SellerEngine Plus for larger Amazon sellers. Features 1-5 closely align with the tools offered by both SellerLabs and Sellics. But SellerEngine pulls ahead with tools 6 & 7, which let you efficiently manage your FBA stock shipments. Neither of our other two picks has built-in FBA tools for stock labeling or shipping. Cost-wise, SellerEngine Plus software can be considered the best volume-seller value of our three top picks. Its pricing is a flat-rate $49.95/month no matter how large you grow. In contrast, both SellerLabs’ and Sellics’ monthly costs increase based on sales or product listings. But great pricing aside, SellerEngine Plus has a few drawbacks that can affect whether it’s right for you or not. SellerEngine Plus also requires that you have a paid Amazon Pro Seller account in order to use the software, as does Sellics. Here, SellerLabs’ unique modular approach tops both since it allows new sellers to research products before committing to a paid Pro account. Sellics is comparable to both SellerLabs’ full suite and SellerEngine Plus software. But, unlike SellerLabs, Sellics doesn’t offer any a-la-cart pricing, so you can’t pick and choose specific tools. It also doesn’t list a phone number or offer much in the way of quick support, unlike SellerLabs’ helpful phone reps. This is why we recommend Sellics for somewhat seasoned Amazon sellers who need a full suite of tools but are comfortable setting it all up on their own. That said, for a very reasonable starting price of $50/month., Sellics gives you a full package of powerful Amazon seller tools. Plus, Sellics offers a free Amazon product and research app that’s similar to SellerLabs’ free tool. Just install it in your Chrome browser and you’re ready to search out profitable products without any upfront costs. Most of the features are very in-line with SellerLabs and SellerEngine Plus, but there are a few downsides. One worth noting is Sellics’ Review Manager. It notifies you that a new review is posted so you can review and comment from the Sellics dashboard, but that’s it. Both SellerLabs and SellerEngine Plus top this by also letting you send emails to your Amazon buyers to request a review. This is helpful for increasing the all-important product reviews on your listings. Another shortcoming is that Sellics doesn’t offer FBA tools. Of our three picks, only SellerEngine Plus has your FBA stock needs covered. Plus Sellics, like SellerLabs, is also missing a repricing tool, but there are plenty of inexpensive standalone options available. A plus is that Sellics’s cloud-based system is portable, so like SellerLabs, you can access it from any computer, laptop, Mac, or Chromebook. But also like SellerLabs, Sellics costs increase as you grow. In contrast, SellerEngine Plus’ Windows-based system isn’t as portable, but its flat monthly fee can be far cheaper as your sales volumes increases. Each of our top picks offers a full suite of integrated Amazon seller software solutions and SellerLabs and SellerEngine also offer a-la-carte options as well. Sellics is the only one of the three offering only a package deal. SellerLabs offers a 30-day free trial on Quantify, Feedback Genius, and Ignite. But Scope has a 7-day money-back guarantee, no free trial. But, a limited version is available in the free Chrome app, so you can test-drive it with no upfront costs. SellerEngine Plus $49.95/month Flat-rate monthly fee for Windows-based software usage. Each of our top Amazon seller software picks cleanly integrate with Amazon seller accounts to access needed data. Each provides intuitive and well-documented setup, user-friendly screens, and fully integrated tools that connect and share data seamlessly. Of the three, only SellerEngine requires a software download and installation for its SellerEngine Plus and Profit Bandit tools. SellerLabs: SellerLabs Amazon seller software is completely cloud-based and each tool can be set up in just minutes. User-friendly screens are very intuitive, plus SellerLabs has a weekly live webinar that walks you through setup and usage of its research tool, Scope. SellerEngine Plus – Windows-based software requires download, setup, and occasional updates. Once installed, SellerEngine walks you through setup. Note, SellerEngine Plus is very full-featured and may take some time to fully set up. But that’s not unexpected since it’s essentially a total Amazon business management tool. Once set up, the interface and screens are user-friendly. Plus, they have a full tutorial section that guides you through setup and usage. Sellics: Like SellerLabs, Sellics is completely cloud-based and the service can be set up in minutes. User-friendly screens are very intuitive, and since it’s a full suite of integrated tools, you access everything in one convenient dashboard. It has a complete knowledge base that walks you through setup and usage of every feature. Each of our three top picks offers a core Amazon seller software suite designed to help Amazon sellers grow. Features include product and keyword research, inventory management, listing optimization, competition monitoring, and feedback management tools. Along with the core features, each offers additional services and perks, which we outline below. A range of Amazon seller services, including suspended account and listing reinstatement, growth coaching, and much more. Customer support is another place where one service wins, hands-down: SellerLabs. It’s the only one of our three Amazon seller software packages that publish a phone number on their website and invites you to call with any questions. Our other top picks offer only online assistance via contact forms and email. SellerLabs: Phone, email & online form M-F 10am-5pm EST. Don’t hesitate to call SellerLabs if you have any questions. We did and their phone reps are friendly and knowledgeable, and they took the time to answer all of our questions. SellerEngine: Online form & extensive online knowledge base. Be prepared to wait for a few hours for a response. Luckily, the online knowledgebase is substantial and provides answers to most questions. Sellics: Online form, email & extensive online knowledgebase. Like SellerEngine, be prepared to wait a few hours or a day for a response. But, also like SellerEngine, they have a fantastic knowledge base that covers all setup and usage issues. Algopix Amazon and eBay power sellers Determine the most in demand products in different markets and locations. SellerLabs takes our top Amazon seller software spot since it offers a full-featured keyword and product research tool, Scope, that can be used with an Individual Amazon Seller account. Even better, Scope has a free limited version with enough power to help new Amazon sellers do meaningful research for free. SellerEngine Plus offers the best overall value in a multi-featured Amazon sales and FBA management tool, but it’s a Windows-based system which may not work for all sellers. 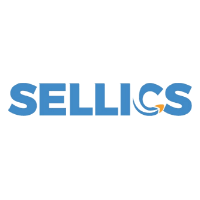 Sellics is another option that brings a cloud-based all-in-one solution to the table for a great price, too. Each of our top picks offers a quality product, so you really can’t go wrong with any of them. That’s where the free trials come in handy so you can compare them for yourself risk-free. But, if you like personal support, of the three picks, only SellerLabs is just a phone call away. Do you use any type of Amazon seller software? If so, please let us know your experiences with these or other seller software in the comments below. Hey, Krista – When is your next guide update? Krista has moved on to real estate, but our goal is to update our buyer’s guides annually — sometimes even more often as online software changes fast! Look for the 2019 update soon. You can get new article updates by subscribing to our email newsletter (it’s not spammy, we promise). Scroll down on our home page to sign up. This is a great article, Krista. Thanks for sharing! I would love the opportunity for you to check out AMZAlert.com at some point. Monitoring, alerts, and automation for your amazon business. I’ll check it out, always on the lookout for new Amazon tools. Thanks! 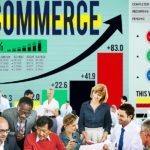 I am from the marketing team at AlphaRepricer.com, supporting multiple Amazon marketplaces. We are a repricing tool for Amazon sellers. We give our user flexible ways to strategize their repricing. We have flat rate fees and are very affordable. Check us out, :). Your repricer is a good one and great small business pricing. Haven’t checked them out yet. There are many options and new players entering this online business services space. We’ll keep out eye out! Hi I am founder of amzcontrol.com – profitability analytics and stock monitoring software. How can you write about us ? Thank you for your answer in advance. We search out new options every time we do a guide update. I’ll add your system to our list to review, it looks like the features and pricing are well in line with what we look for in something accessible to smaller businesses and startups, which is our audience focus.